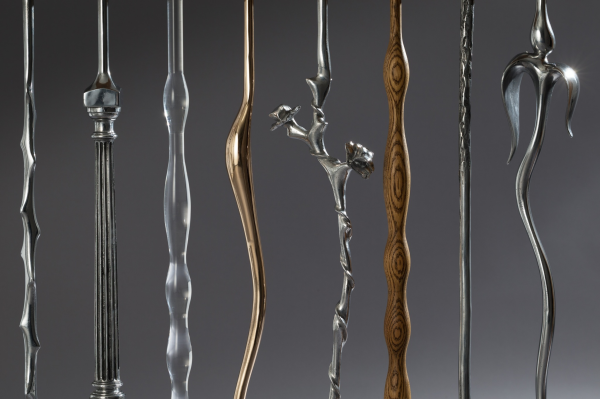 Sculptural balustrading for staircases and galleries. 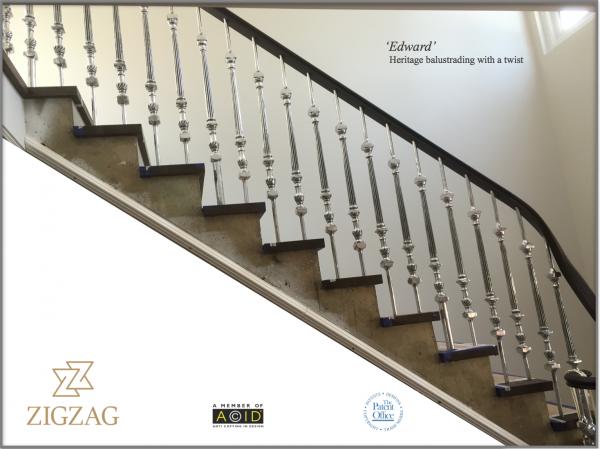 Zigzag have designed a made a range of high end beautiful balustrades all hand made in cast metals to the highest specification. Our designs are meant to offer clients something different and stunning away from glass, wrought iron and timber. 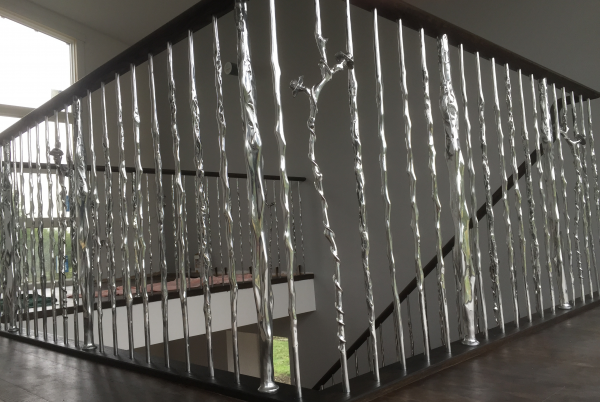 All Zigzags sculptural balustrade commissions have been designed manufactured and installed by Zigzag team including 3 in house designer makers. 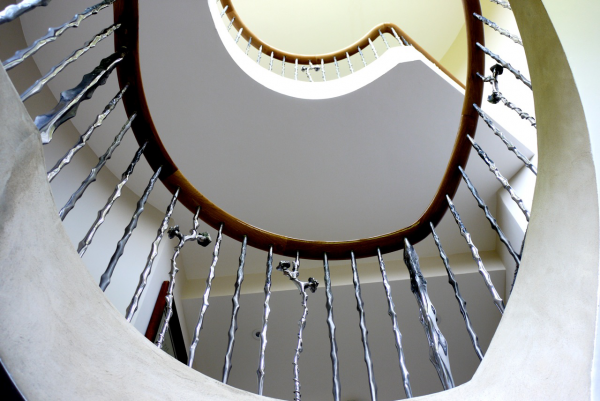 To turn feature staircases into a work of art. 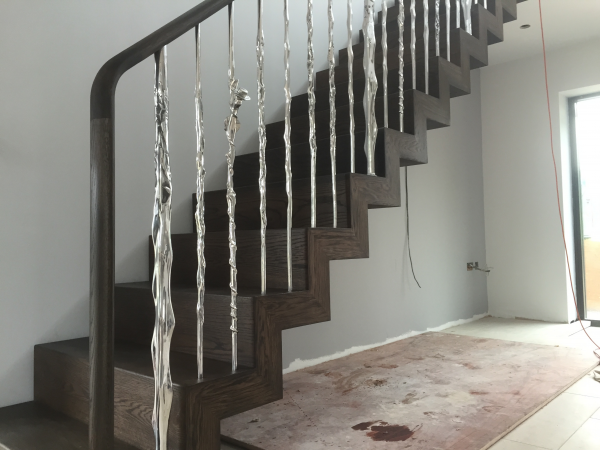 The first thing you see when you come into a house is often the staircase, the largest thing our clients put into their homes is a staircase. Zigzag set out to make these installation into central, timeless, functional, works of art. Sculptural Structures. 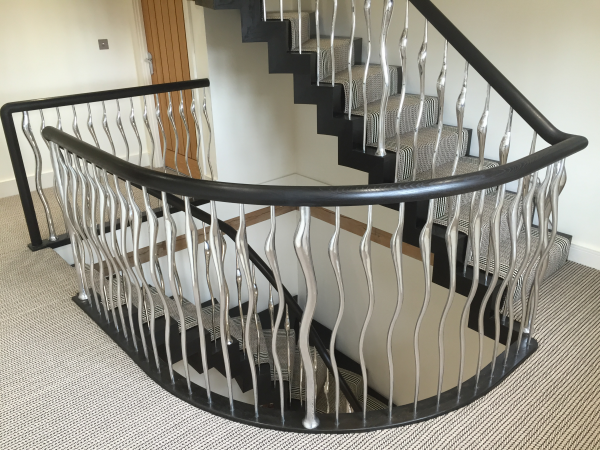 Zigzags range of sculptural balustrading for staircases is unique, and offers consumers a very different, quirky, sculptural, 'off the shelf' option for their balustrading. 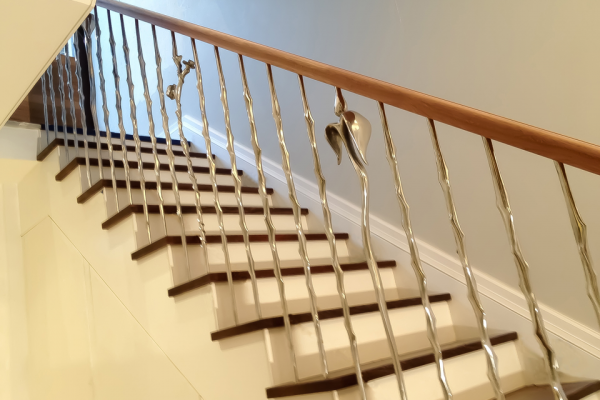 Until now, off the shelf balustrade options have included traditional timber spindles, wrought iron or cast iron old fashioned mass produced balustrades, and glass. 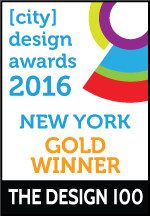 There has never been, nor is their today, anything that comes close to what our designs can offer. 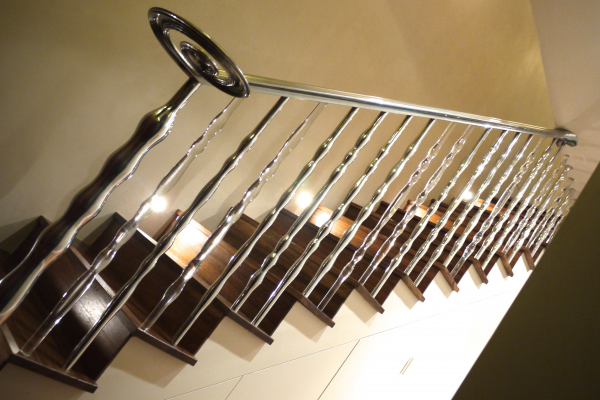 Our sculptural balustrades create a stunning feature of any staircase, old or new. 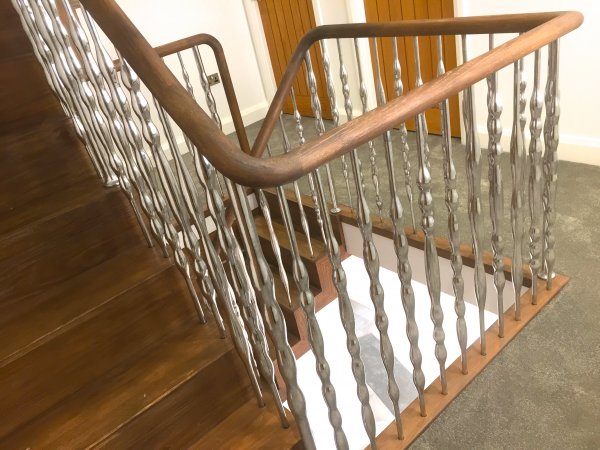 They can give the ultimate 'Face lift' to an old and tired staircase without the upheaval of ripping out and installing a new one, or can equally create a work of art on a new installation. Zigzags design challenge was primarily getting people used to the idea of something as radically different as our concept and then to get it intron of people so that they were aware of it as an option. Now that we have done that, the designs are selling themselves. There was also an element of having to reinvent the structure to a handrail, how they are supported, which traditionally of course was given by the staircase itself by way of big chunky structural wooden posts, but we didn't want to rely on those, we wanted a clean uninterrupted flow to our designs, so we have to refine and design a system that offered the same structure but using our sculptural designs. It was quite challenging, but we did it! 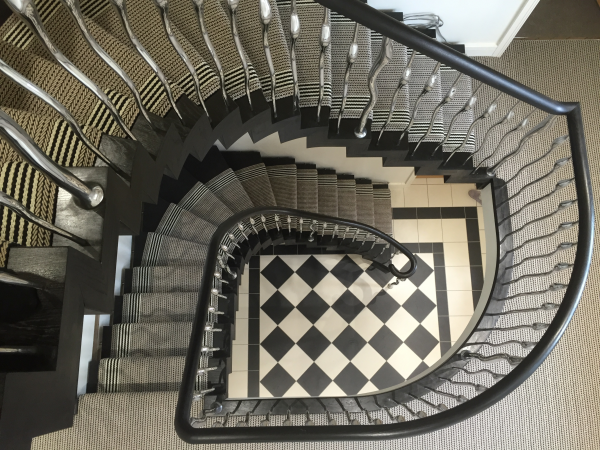 All of Zigzag balustrades are made using recycled aluminium, all metal is sourced in the UK where we are based, and all production is in the UK also.